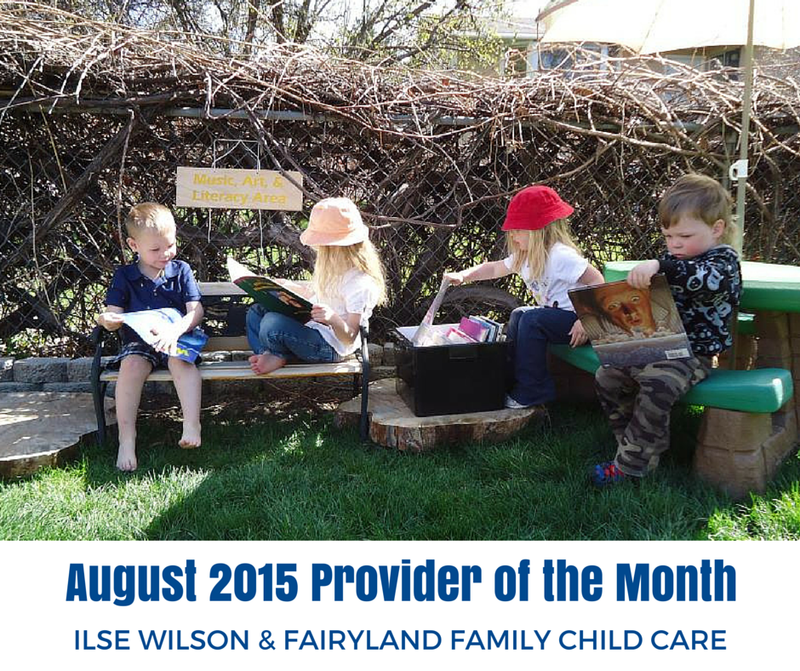 September 30, 2015 by Lynette M. Fraga, Ph.D.
Congratulations to Ilse Wilson and the staff at Fairyland Family Child Care in Sandy, Utah. They have been named Provider of the Month for August 2015, and they are the first home care provider to be honored through the new campaign! Creating a fun, caring, healthy, and educational environment for children as they learn and grow is the first step to a lifetime of healthy development, and Ilse Wilson and her staff at Fairyland Family Child Care go above and beyond every day with the children in their care. Wilson and her team do this through creative play, including spaces for playing with sand, water and mud; an outdoor music and art area; and a reading “nook”. They even have a fairy garden in the front yard! Fairyland is also TOP Star-endorsed (an obesity prevention program in Utah) and Let’s Move! Certified, making health and obesity prevention a clear goal. At the beginning of each school year, the staff at Fairyland have parent-teacher conferences to set learning goals for the children in the upcoming year. We’re grateful to exemplary providers like Wilson and her staff – they’re adding significant value to the development and overall health and well-being of the children in their care. Do you know an outstanding provider or early childhood educator who is deserving of the Provider of the Month award? Visit www.providerappreciationday.org for details on how to nominate them, and help Child Care Aware® of America and partner organizations honor those providers that go above and beyond every day! 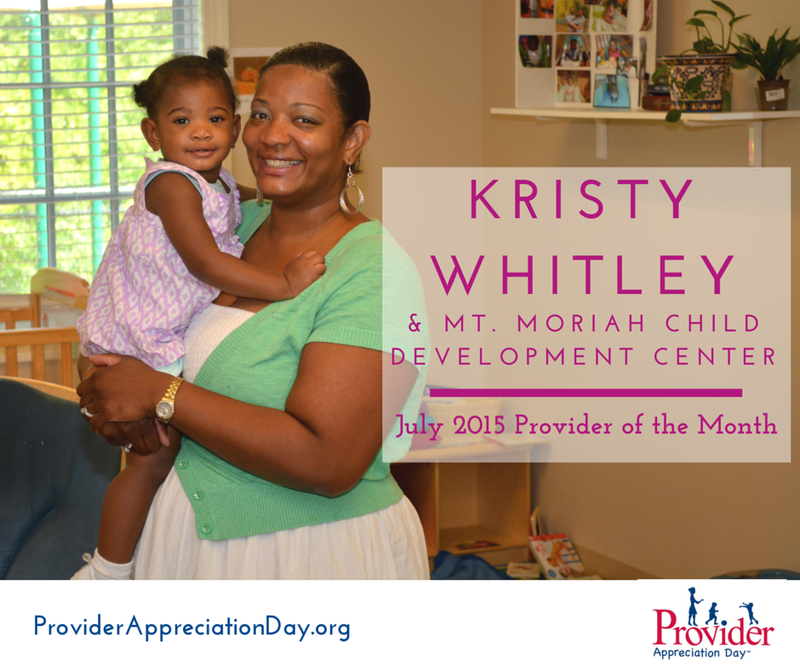 August 12, 2015 by Lynette M. Fraga, Ph.D.
Congratulations to Kristy Whitley and the deserving staff at Mount Moriah Child Development Center in North Carolina – July 2015 Provider of the Month! As a working mom I was hesitant of leaving my baby in daycare, thinking he was not going to receive the attention, interaction, or love needed that I could provide… I am beyond happy I have found the quality service at Mt. Moriah – our baby boy comes home smiling, giggling, rested and happy each day… when you see happy children each time you know you have chosen a great facility. Whitley and her staff at the Mount Moriah Child Development Center go above and beyond every day with the children in their care – they set the bar for all other providers with their open door policy for families to come and interact with their children throughout the day, multicultural activities as part of their weekly lesson plans, and developmentally appropriate toys, materials, and activities. We’re grateful to exemplary providers like Whitley and her staff – they’re adding significant value to the development and overall health and well-being of the children in their care. Know an outstanding provider or early childhood educator who is deserving of the Provider of the Month award? Visit www.providerappreciationday.org for details on how to nominate them, and help Child Care Aware® of America and partner organizations honor those providers that go above and beyond every day! 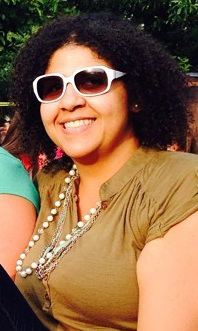 July 3, 2015 by Lynette M. Fraga, Ph.D. I love summer! Warm weather, even when it’s humid and sticky, beats the winter layering and trying to keep track of the extra accessories like mittens, scarves, coats, and boots. The “lazy days” of summer are here – and yet I still got that phone call. I missed an appointment today, scheduled a long time ago for my daughter – ugh! I guess I was a bit too relaxed on the summer no-school routine! Of course we’re all likely too aware that there is really no slow down for summer. And the same is true for CCAoA. Our staff team is busier than ever and committed to a summer of activity in support of the important changes happening in child care. We are introducing a new feature on the ED Blog called Footnotes – a monthly update highlighting a few of the activities of our dedicated staff. We are thrilled to have been chosen as a recipient for a Robert Wood Johnson Foundation grant where we will have the opportunity to provide technical assistance and leadership on health, nutrition, and obesity prevention in child care settings around the country. As required by the new CCDBG law, implementing the new requirements into a state plan has an upcoming March 1, 2016 deadline. 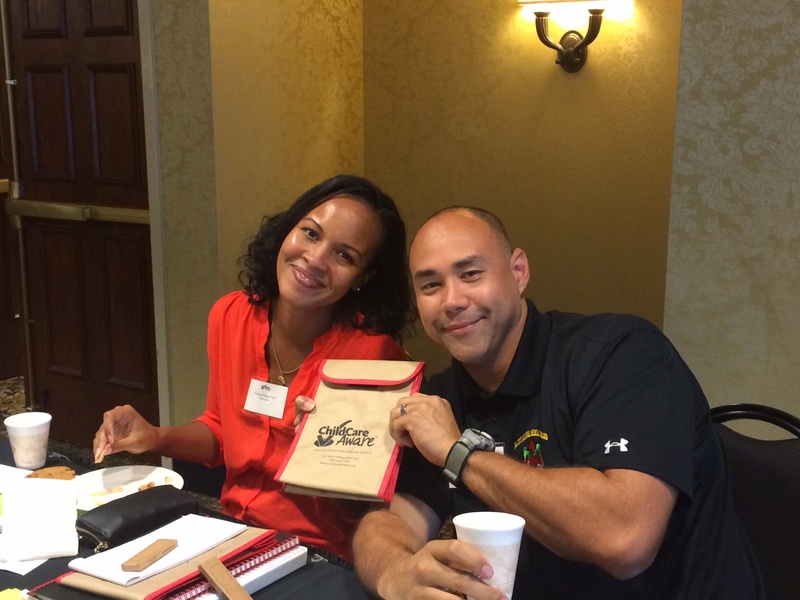 We look forward to the partnerships we will forge and the critical data collected to address this critical issue! 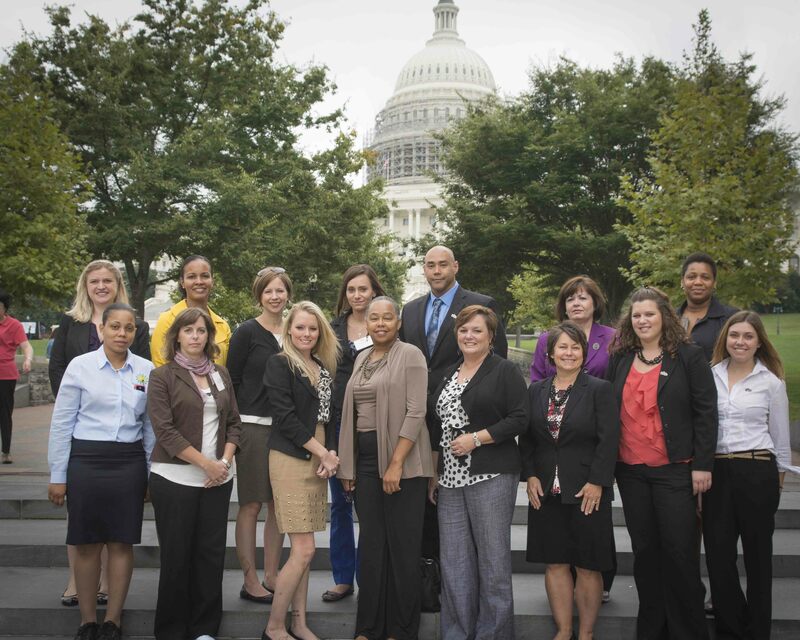 Our Regional Military Child Care Liaison, Karen Lange represented us well as Governor McAuliffe of Virginia signed the Child Care Safety Bill on May 26, 2015 that requires fingerprint background checks for licensed child care providers. 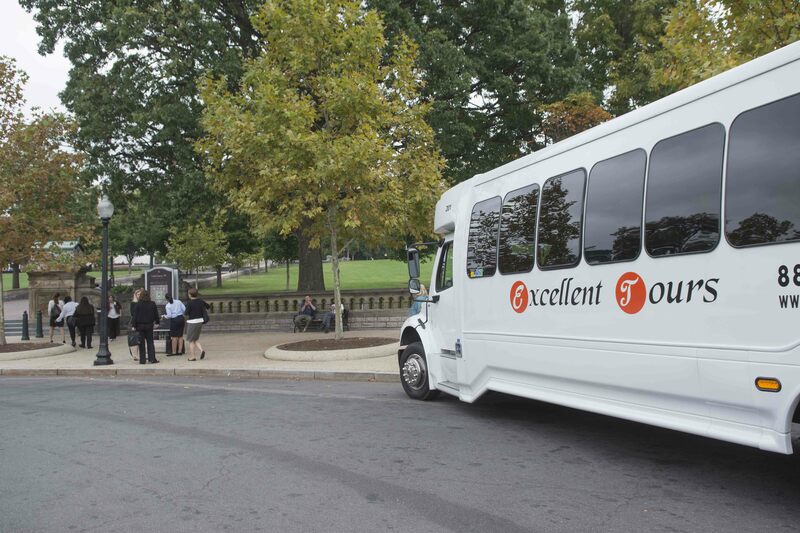 This legislation was the result of the contributions of many stakeholders, including Child Care Aware® of Virginia, our amazing parent advocates, and Child Care Aware® of America. On June 16, Child Care Aware® of America and Save the Children hosted a webinar detailing the new disaster preparedness and response requirements under the new CCDBG law. The webinar moderators included Jay Nichols, Director of Federal Policy and Governmental Affairs with Child Care Aware® of America, and Rich Bland, National Director, Policy and Advocacy, Save the Children, U.S. Programs. Over 200 people participated! You can watch the recorded webinar here. On July 25, Child Care Aware® of America jointly led an #EarlyEdChat on Twitter with MomsRising, MamasConPoder, and Easter Seals to discuss children with special needs in child care. We shared a variety of early care options for parents and provided detailed answers to questions regarding quality care and resources for children with special needs in child care. According to Twitter metrics tool TweetReach Pro, this chat reached 198,035 twitter accounts for 5,238,102 potential readers! You can find this chat and other previous early ed chats by searching Twitter for the hashtag #EarlyEdChat. 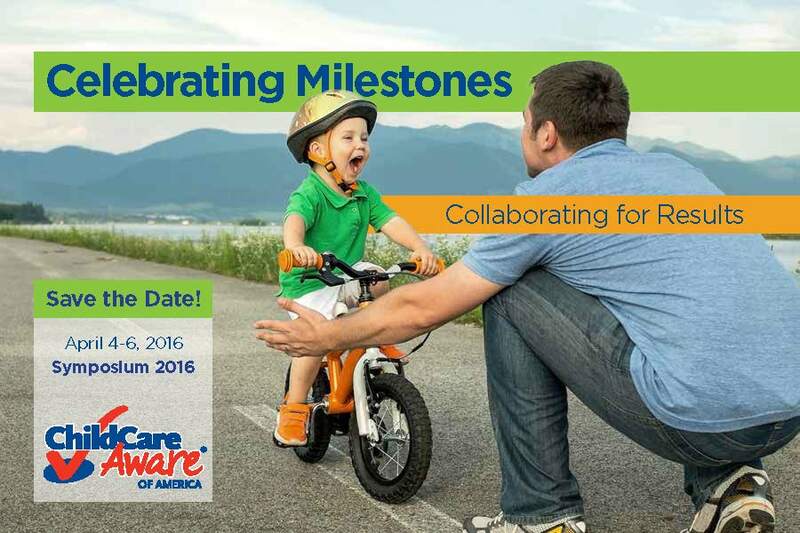 The Child Care Aware® of America policy team recently launched a CCDBG Implementation Station on our new website. CCAoA members will have the opportunity to engage with policy staff and subject matter experts for weekly office hour timeslots with thematic approaches dealing with the 2014 CCDBG law. Visit the CCDBG Implementation Station at usa.childcareaware.org/ccdbg. Currently, visitors and members can stop by the implementation station and download one-pagers, webinars, and meet the policy team. 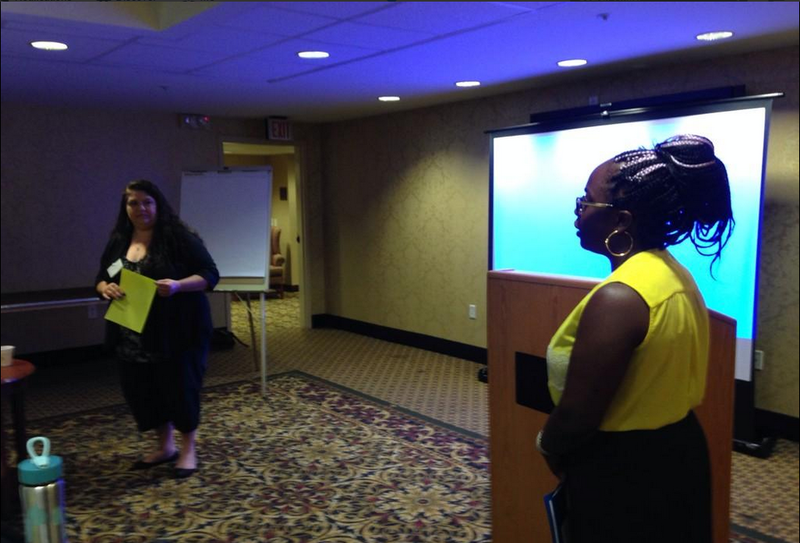 On June 16 I presented on the implications of the Child Care and Development Block Grant Reauthorization of 2014 Act (CCDBG) on the Healthy Kids, Healthy Futures June conference call. The presentation was centered around health, nutrition, and obesity prevention as outlined in the new CCDBG law, and its impact on the child care industry. 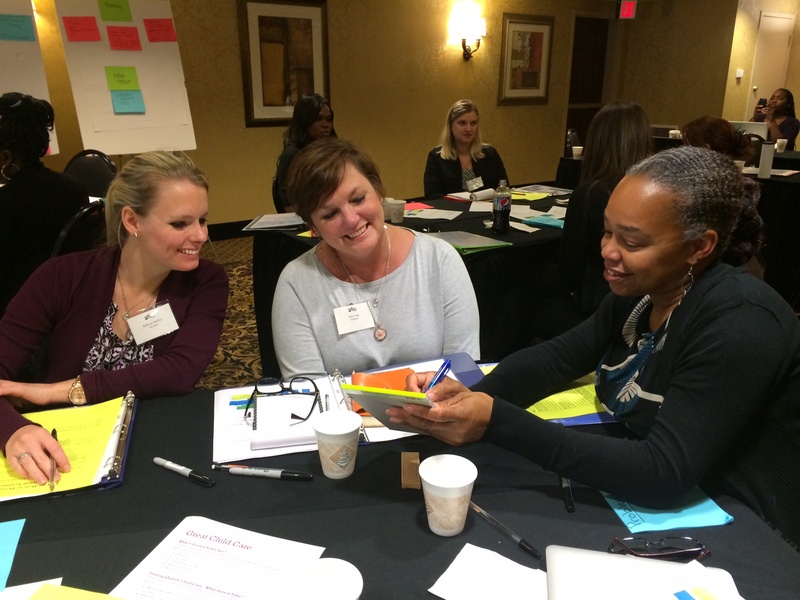 Child Care Aware® of Kansas was spotlighted for their work through the Healthy Kansas Kids Project along with Illinois (INCCRRA) for their Healthy Child Care Initiative (PDF). Are you doing something in your state or community that you’d like to share? Please let us know! We’d love to share your innovations and successes! Forbes spoke to CCAoA’s deputy director of policy, Michelle Noth McCready, on the effect of unaffordable child care on families. Find out what Michelle had to say about the child care crisis in Child Care Is Biggest Expense For A Growing Number of Families. Stay on top of all things CCAoA in real-time by following us on Twitter at @USAchildcare, liking us on Facebook at Facebook.com/USAchildcare, and giving us a double tap or two on Instagram at @USAchildcare. 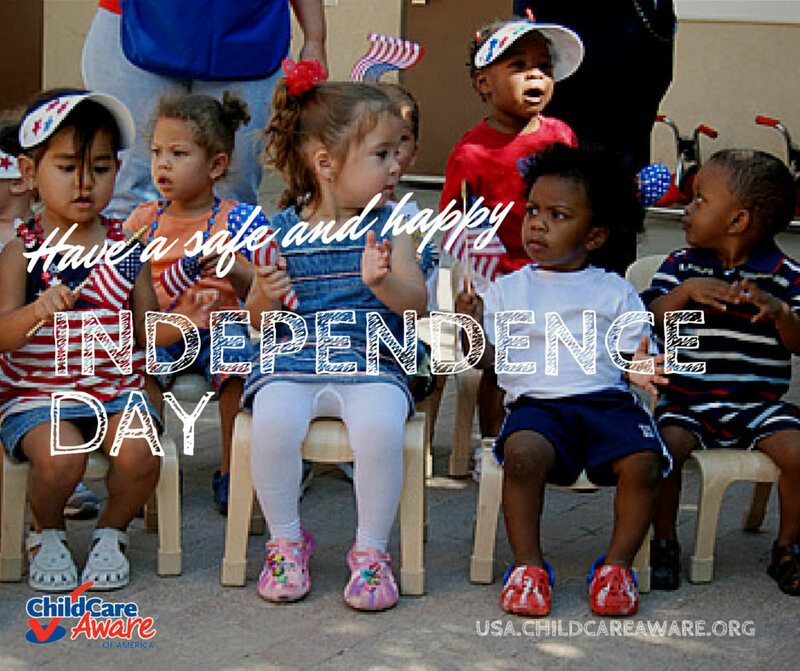 From our CCAoA family to yours – have a safe and happy Independence Day! 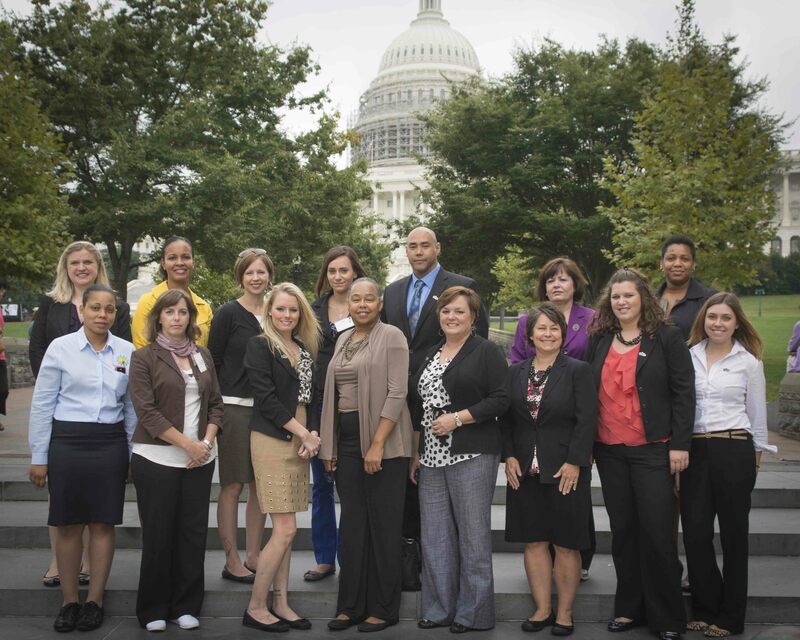 June 22, 2015 by Lynette M. Fraga, Ph.D.
At Child Care Aware® of America we believe information sharing, advancing discussion, and taking action are critical to affecting positive change for our nation’s children and families. 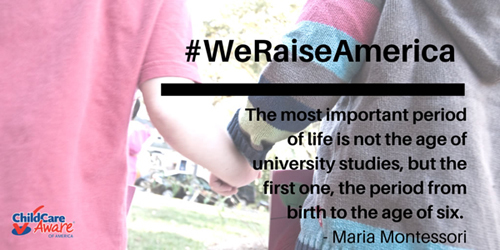 We want to spark the conversation about early childhood and the future of our nation, which is what The Raising of America series and associated public engagement campaign are all about. The documentary series The Raising of America takes us inside the brain and brings to life recent scientific research that reveals how early experiences, beginning in the womb and continuing through early childhood, can alter brain architecture and developmental trajectories. Through the stories of families, we discover how the lack of paid parental leave and high-quality affordable childcare, stagnant wages and overcrowded housing, depression and social exclusion, and perhaps most of all the time crunch, too often undermine the efforts of parents and child care providers struggling to create the nurturing environments all children need to thrive. Screenings are happening all over the country – find one near you and join in the discussion, or host one of your own! 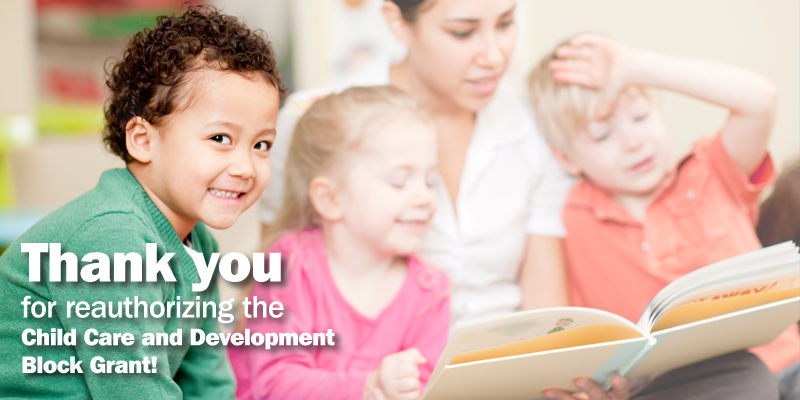 As child care providers and advocates we know how important our work is to the growth and development of America’s children. So join in and share your thoughts with us on social media! We’ll be following the hashtag #WeRaiseAmerica on Twitter to see what you’re talking about. Ask yourself: So how is it that children in the U.S. have worse outcomes on most measures of health, education and well-being than other rich nations? How can we do better? Watch this short intro to the series and hear from some of the experts, including Boynton-Jarrett, who are advocating for more involvement in children’s health and growth in their earliest years. The Raising of America Series – TRAILER (11min) from California Newsreel on Vimeo.